This machine is suitable for blister package product, adjust automatic feeding structure conveniently, setup quantity of blisters on touch screen randomly. 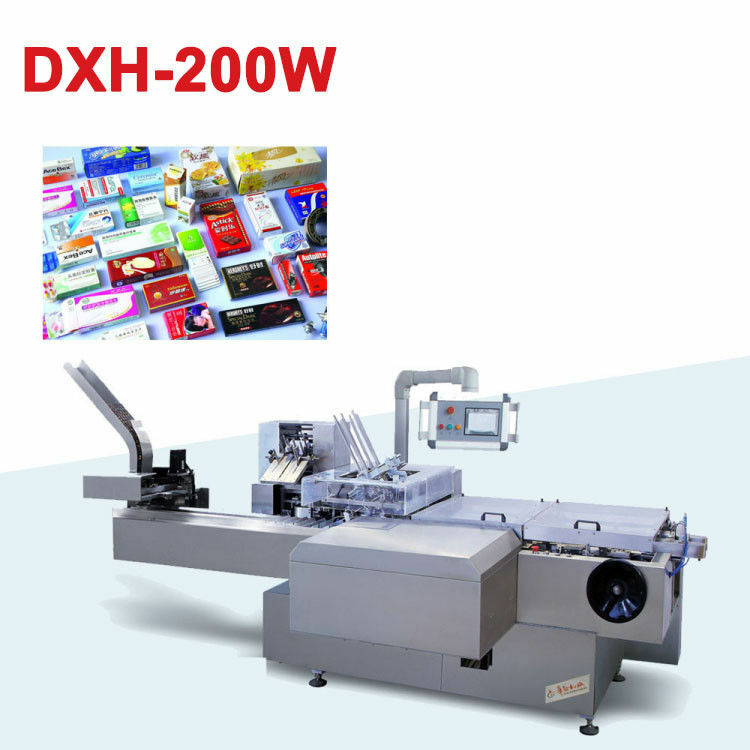 On line product feeding and detecting, leaflet fold(1-4folds) and feeding, leaflet detecting, carton opening and forming, products and leaflet pushing into carton, printing batch number, sealing carton with tuck-in or hot melt glue device. Automatically reject box lacking of leaflet or product. The machine works continuously with mechanical pushing objects into carton with smooth and reliable working situation. The object pusher comes with alarming system while the objects are not at the right position, it ensures the good carton quality and safety in operation. Continuous carton opening system with pulling style opening station makes machine working more stable and smoothly. 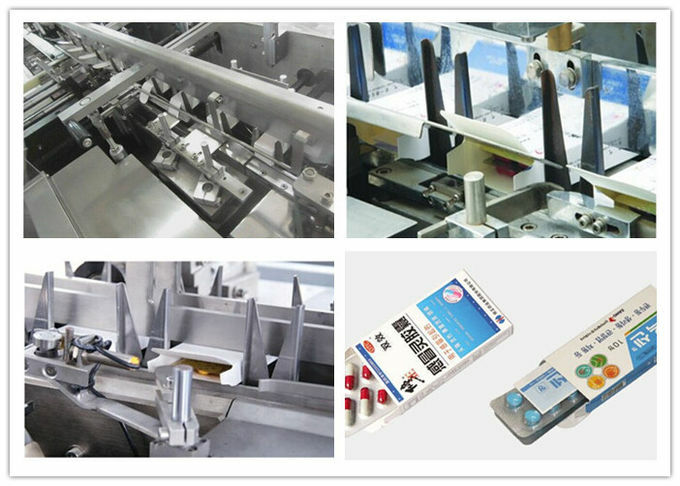 The machine adopts servo feeding system which makes the feeding more smoothly and stable. The machine has the vacuum protection stopping system and automatic testing and stopping system for cover opening, to ensure human safety when operating. It is easy and convenient to change and adjust the product size with hand wheel. The speed is controlled by inverter while the whole system is controlled by PLC and operating by touch screen for easier and simpler production, all machine running status are displayed by double language. The machine has the function of overloading protecting and failure diagnosis indication, and production of automatic shutdown system failure. The machine will not be shaking in transport with wooden fixed. The machine will not be affected with damp in transport with packed with PE plastic bags. Easy shaking station will fixed with hard rope. 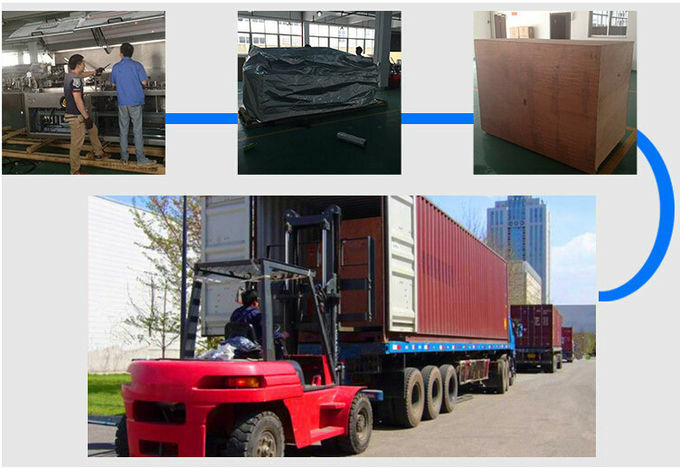 Long machine will packed separately. If there are strict requirements, chassis can use iron girders. For the big problem that you can not resolve by yourself, our engineer was available to go over seas for helping you to resolve the problem. For small problems, we can take the video and pictures to guide you how to adjust and fix the machine. We have professional after service team which could help you to resolve the problem within 24 hours.